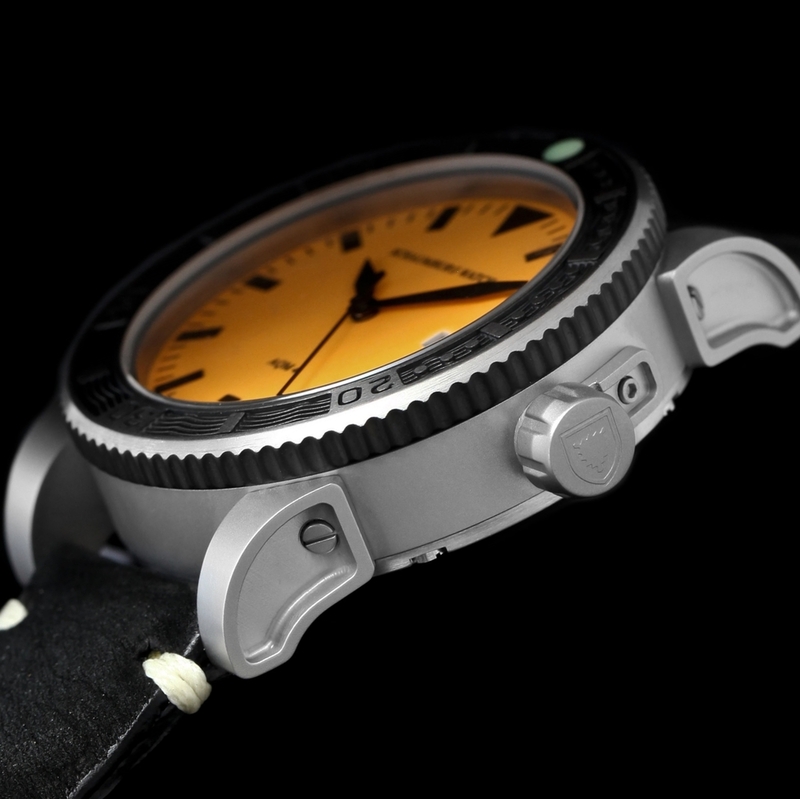 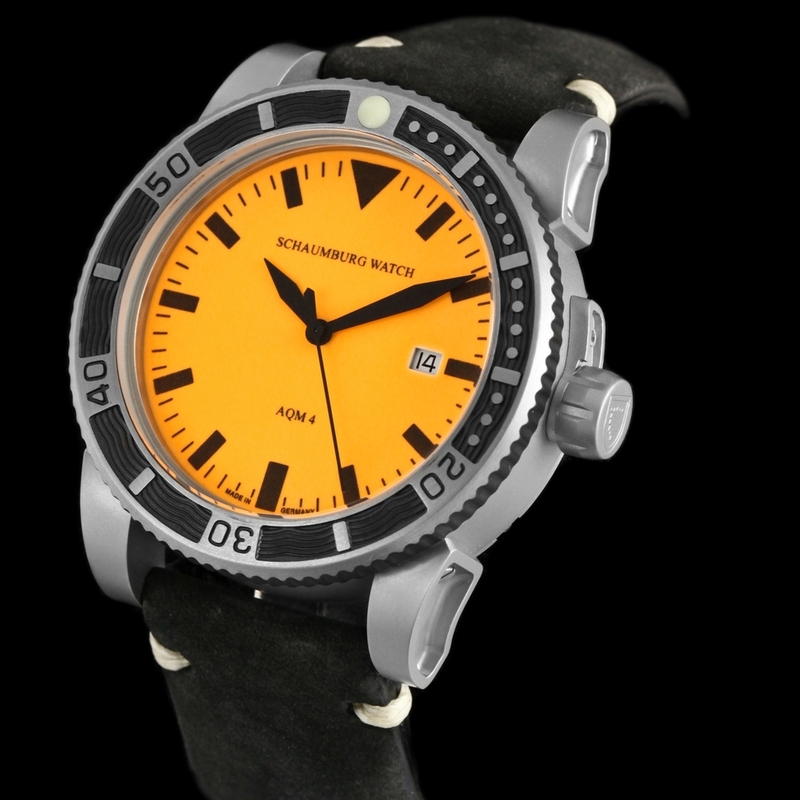 Schaumburg Watch AQM 4 automatic divers watch in stainless steel case with fully luminous orange dial on custom leather strap with tang buckle from Chronolux Fine Watches. 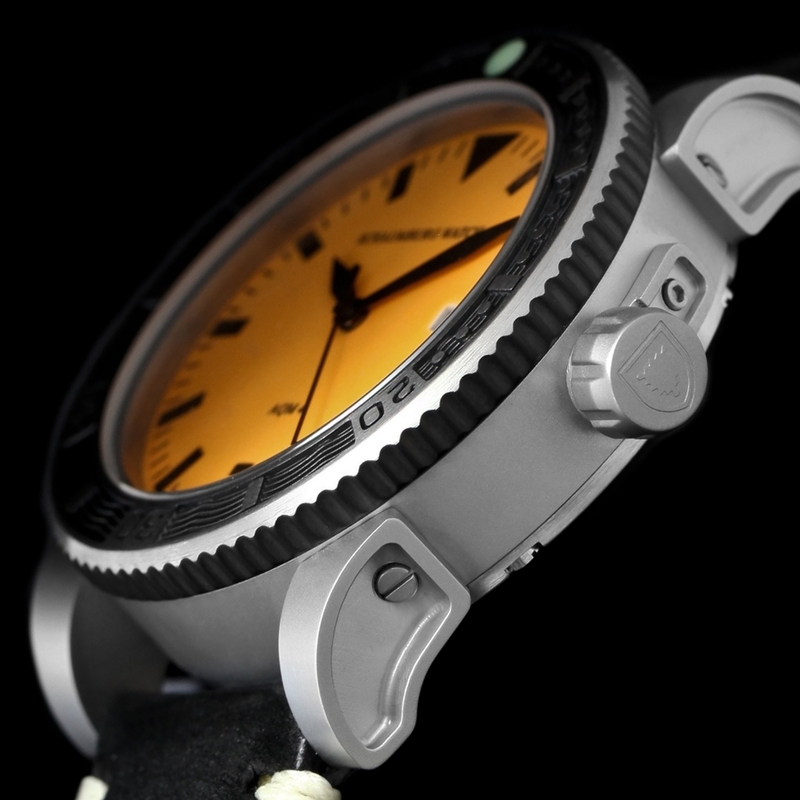 Chronolux Fine Watches are pleased to offer as Authorised Dealers the Schaumburg Watch AQM 4 Orange automatic divers watch in stainless steel on hand crafted custom soft leather strap and supplied with complementary watch winder. 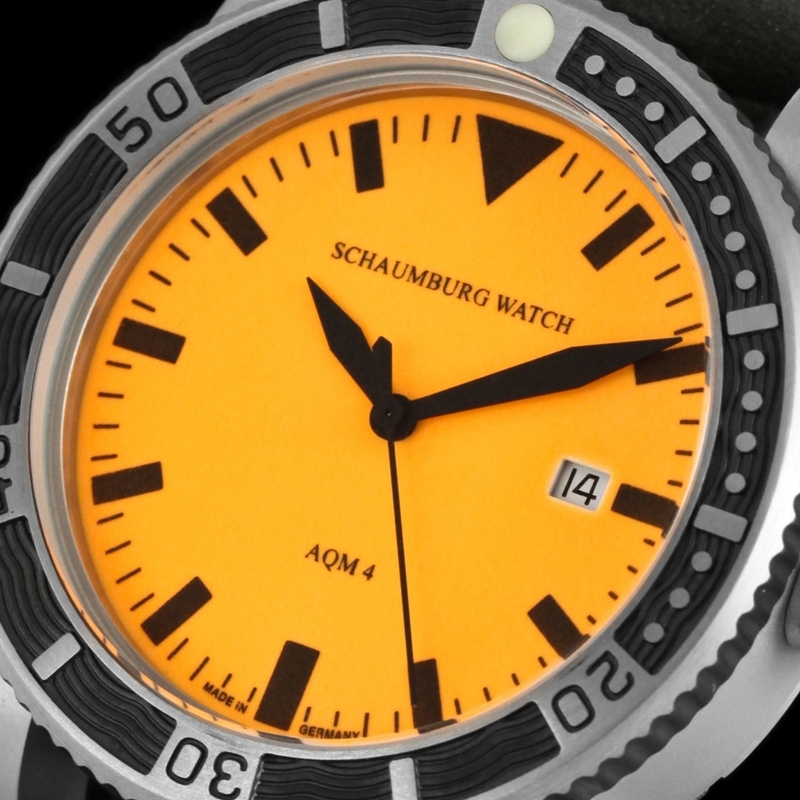 The AQM 4 Orange is presented in a brushed stainless steel case with screw in crown, anti reflective sapphire crystal, brushed steel rotating bezel with black inserts and luminous ceramic reference dot and embossed screw-down caseback.